Environmental artist and sculptor Del Geist has been creating art in the public realm for more than thirty years. 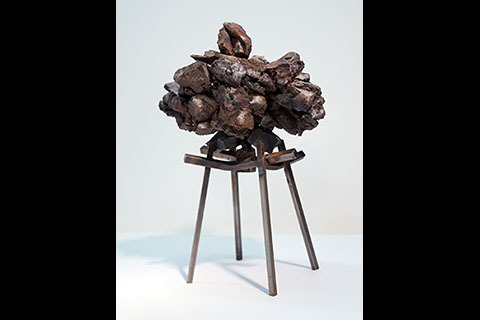 Using the natural world and its materials as his palette, Geist has developed major site-specific sculptures and installations throughout the U.S., Europe, and Asia. These works both highlight and “exploit” the qualities that make each place unique. They equally invite viewers to use all of their senses to engage with Geist’s works as well as with the natural environments in which they are situated. The resulting interactions unite people, place, nature, history, and geology in intimate dialogues, while evocatively capturing and conveying the special spirit of such disparate locations as Artpark (Lewiston, NY); Grizedale Forest Sculpture Park (Cumbria, England); and the University of Papua New Guinea. Geist also has notable projects in Miami, FL; Berlin, Germany; and South Korea, in addition to collaborative projects with artist Patricia Leighton in Barnstable, England and Roosville, Montana. Along with his significant public commissions, Geist has created innumerable intimately-scaled works over the course of his distinguished career. Highlights from these distinct series are featured in Stone Levity: Small Sculptures by Del Geist, a focused micro-exhibition on view at the Lowe. The Lowe extends its deep appreciation to Ted Vassilev, DTR Gallery in Palm Beach and New York City for his invaluable support of this project.